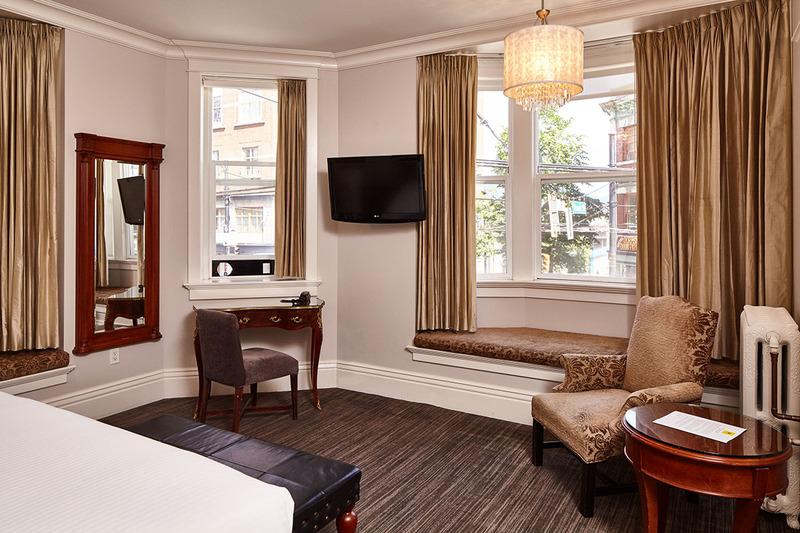 Our Superior King rooms are the picture of comfort and style, being well appointed with a mixture of contemporary features and antique furnishings including sitting areas or work desks. 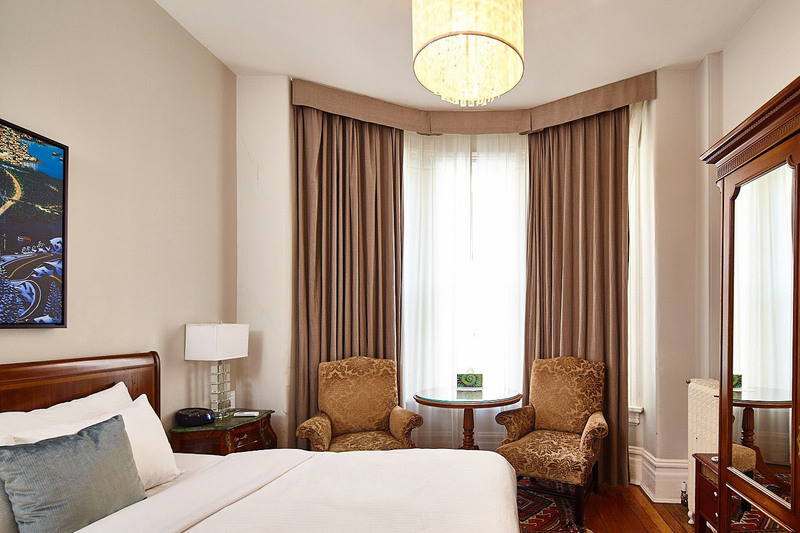 These spacious rooms have deluxe bathrooms with soaker tubs and marble tiles. 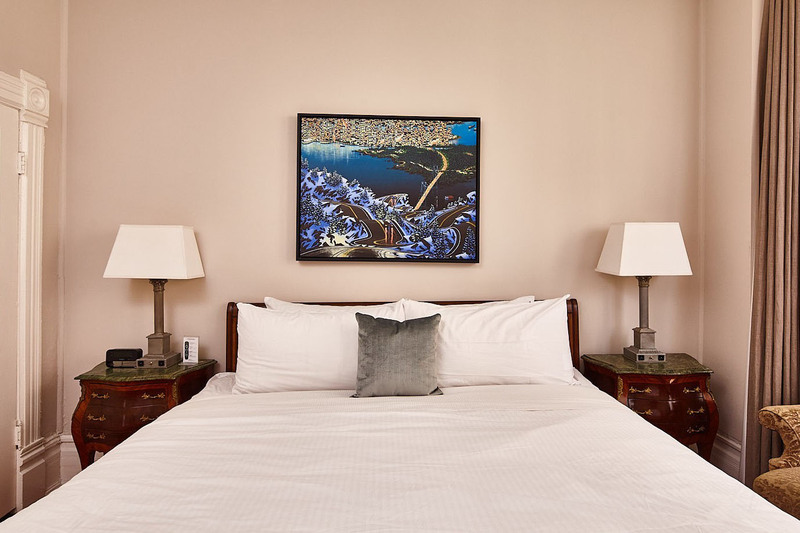 The average size of the Superior King rooms is 30 square meters (323 sq. feet). 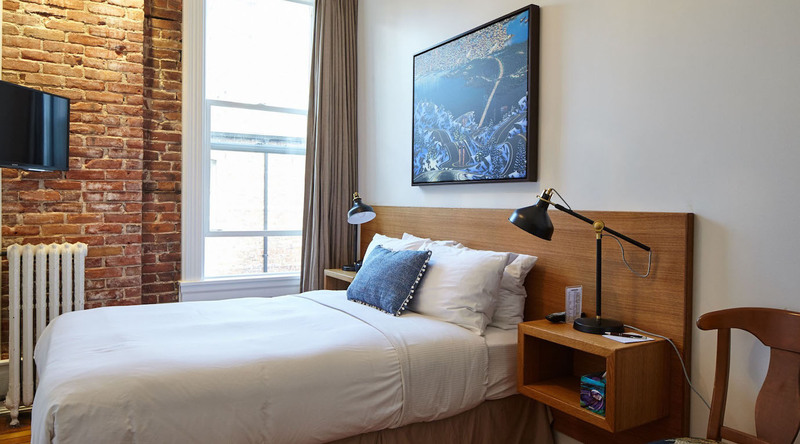 These Superior Rooms with two pillow-topped double beds come in a variety of unique designs. 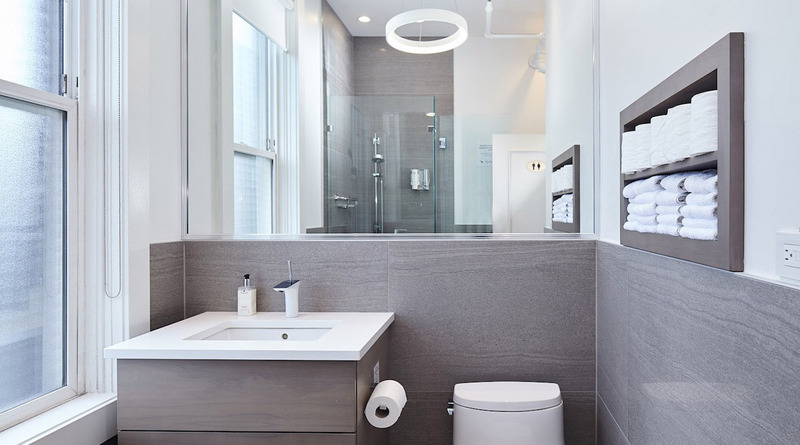 Many have over-sized modern bathrooms, sitting areas, and high ceilings. 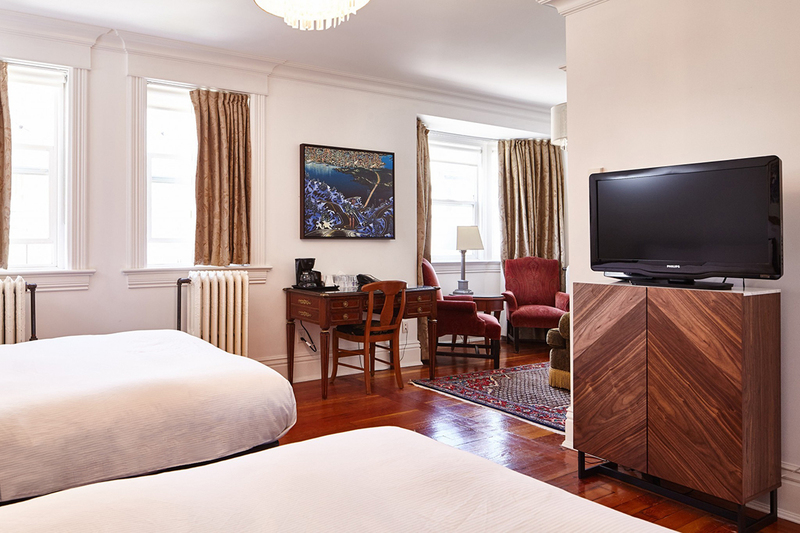 Some have the original hardwood floors with classic rugs, and all have a mix of contemporary technology such as large flat screen TVs, as well as Victorian era furniture. Our Superior Double/Doubles are approximately 32 square meters (330 sq. feet). 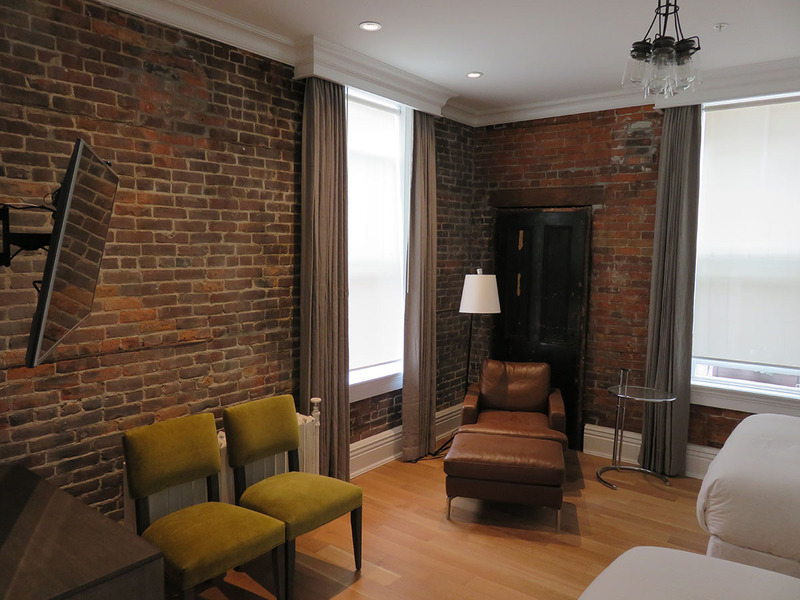 These newly created rooms have some elements of the original building such as exposed brick and extra high windows and ceilings. 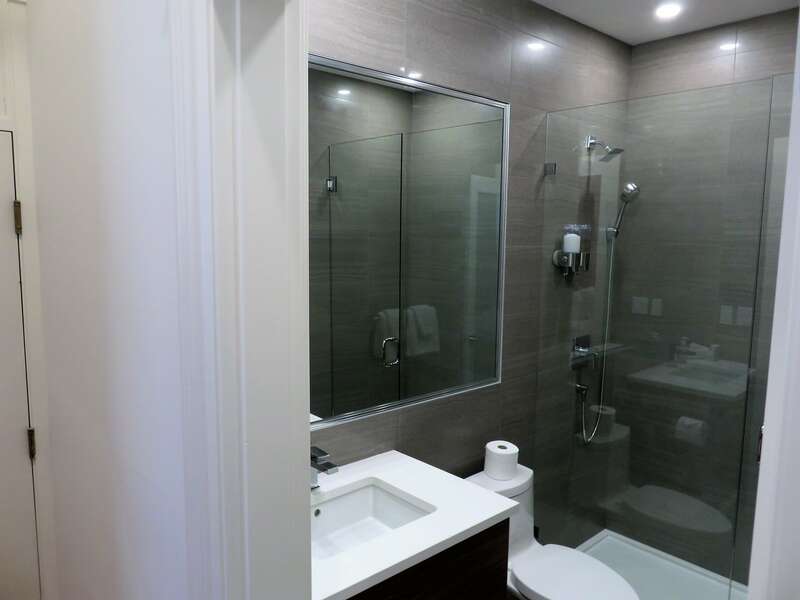 Contemporary fixtures are added along with hardwood floors and stone-tiled washrooms to provide a truly unique guest experience. 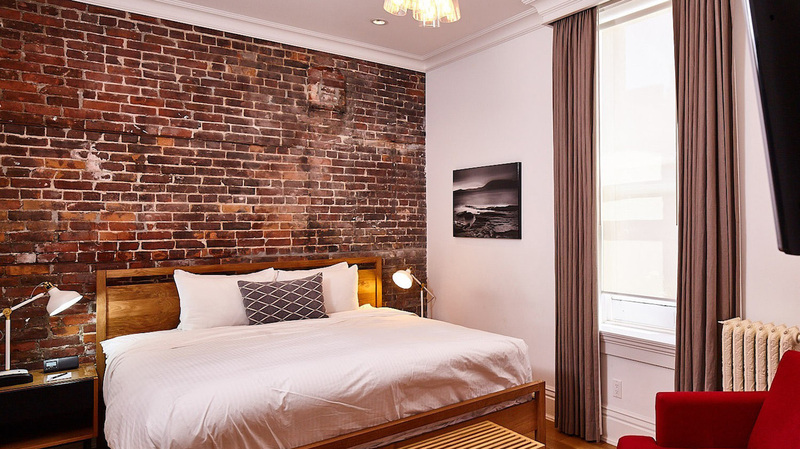 This cozy room with a queen bed has exposed brick, hardwood floors and a large stone tiled washroom. 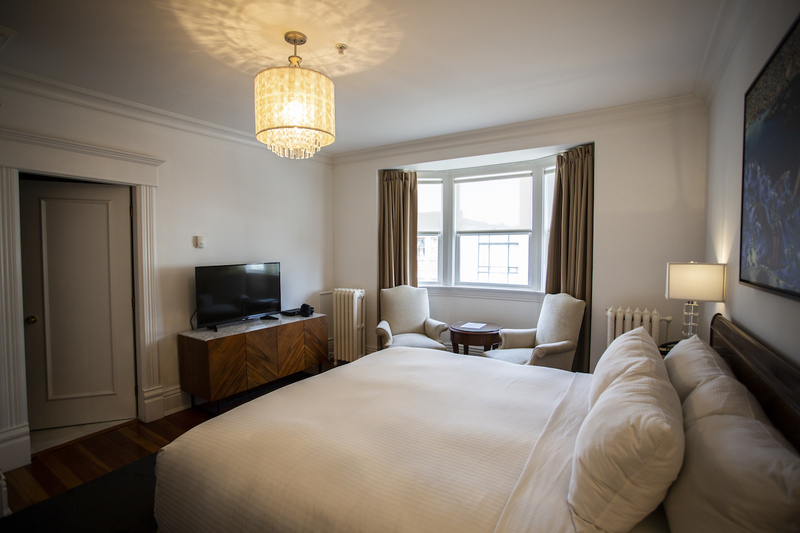 This Legacy Room with 2 double beds embodies the spirit of the Victorian Hotel. 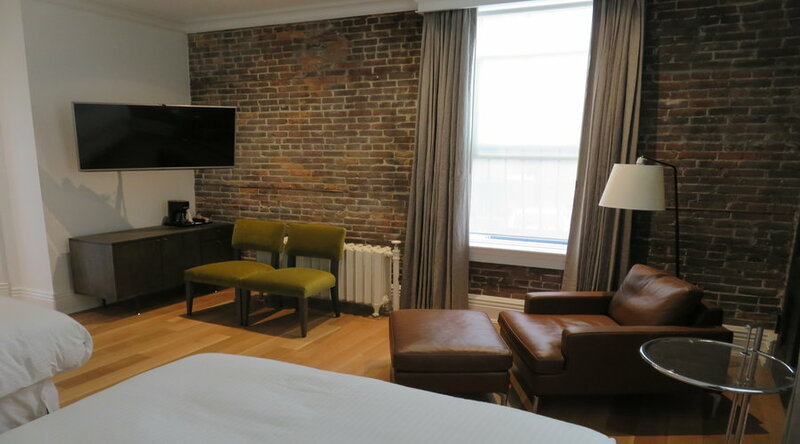 Two full walls of exposed brick including a once hidden original door from the 18th century embraces the history of the hotel, while contemporary design features are blended in to make this signature room one for the ages. 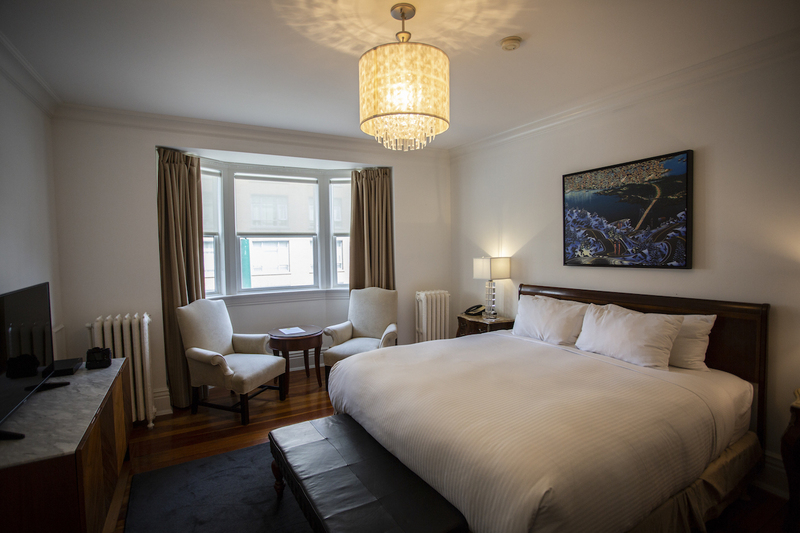 Huge Bay windows and a King sized bed are the features of these historic rooms. Plenty of natural light washes over the original hardwood floors and interior trim. 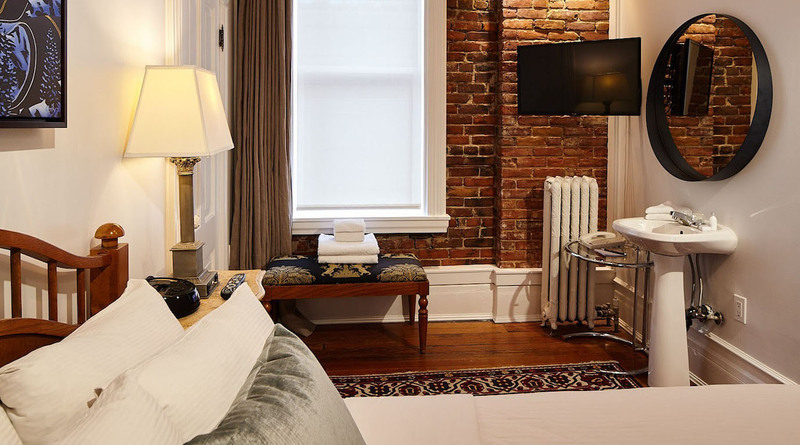 Each of these rooms has in-room sinks, full mirrors, hairdryers and bathrobes. 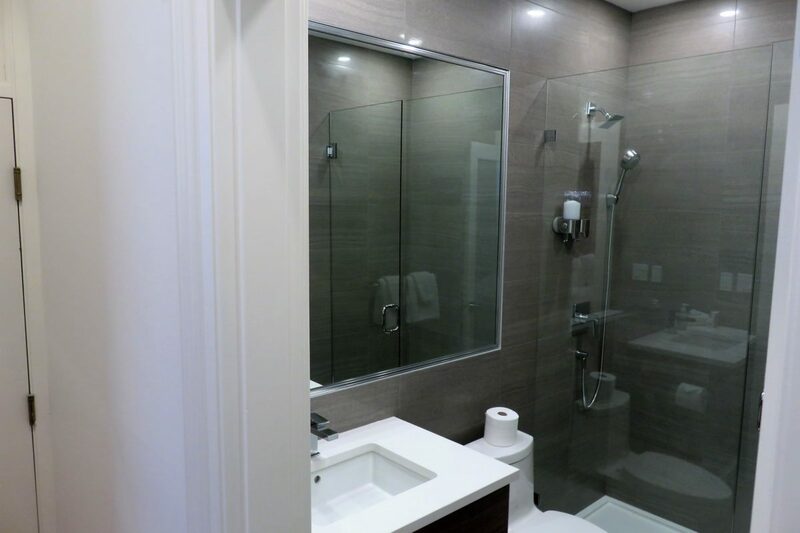 The new, shared deluxe washrooms are located outside the room just steps down the hall. 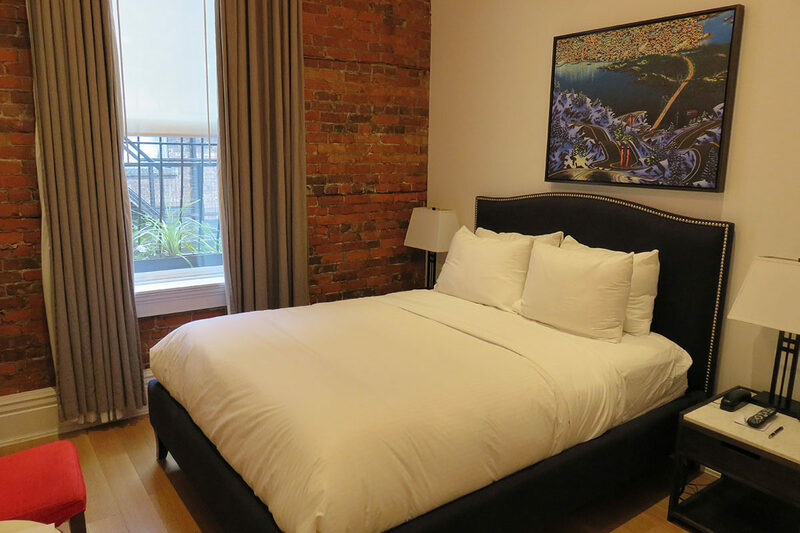 These rooms are approximately 18 square meters (195 sq. feet). Cost conscious travelers will find these rooms with double beds, luxury sheets and down filled duvet covers are ideal for short stays. 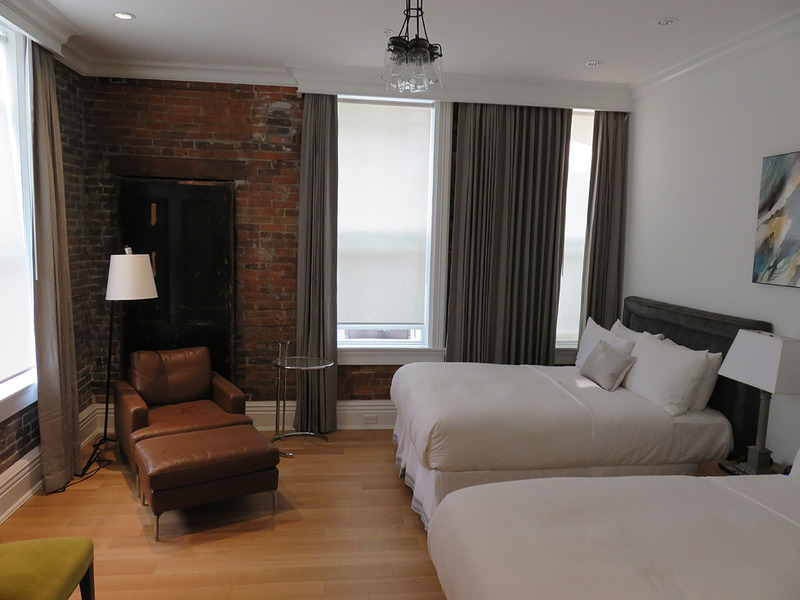 They all have original hardwood floors, an in-room sink, full mirror, hairdryer and bathrobe. 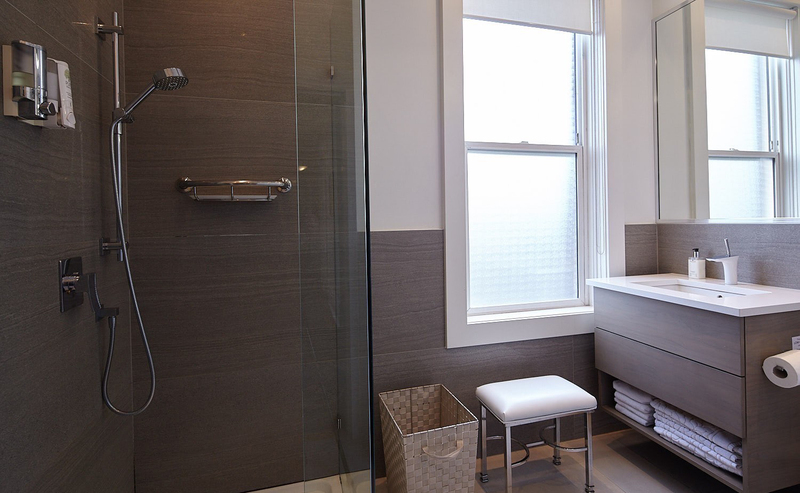 Occupants of these rooms share stylish, private washrooms . 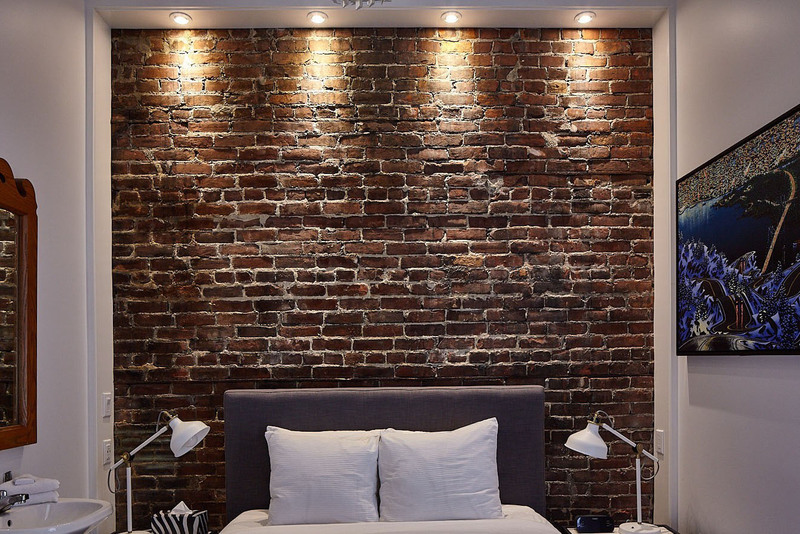 These rooms are approximately 13.5 square meters (144 sq. feet). 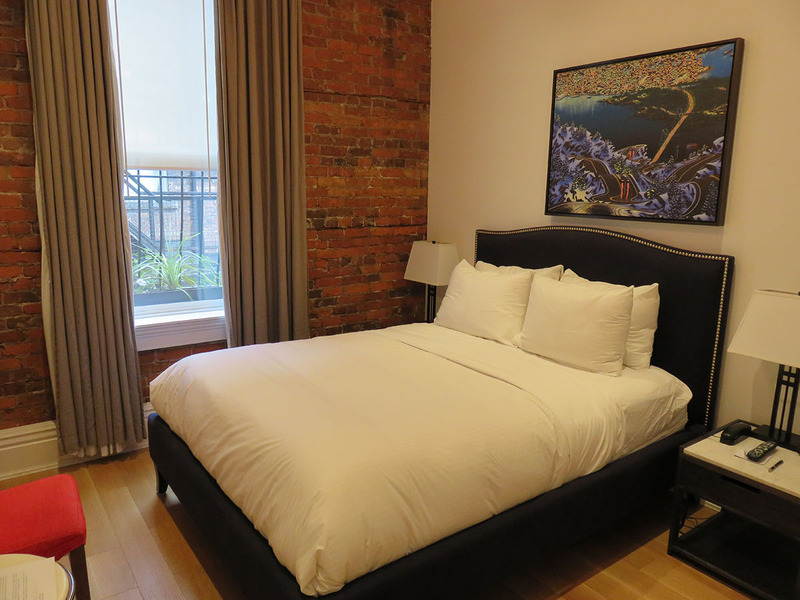 2 double beds, shared bathrooms, bay window. Fees apply for extra adults and portable beds – please let us know in advance as these are limited. 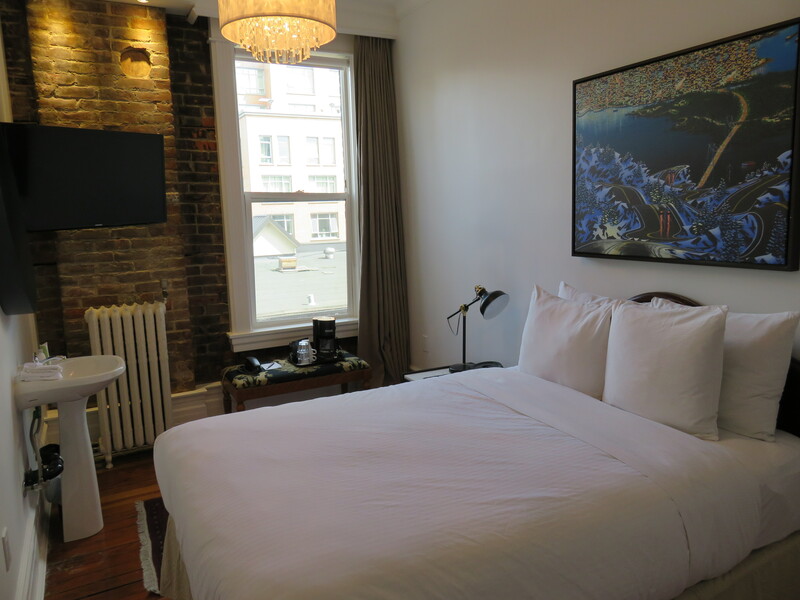 The Victorian Hotel presents a one-of-a-kind lodging experience in the heart of Vancouver. 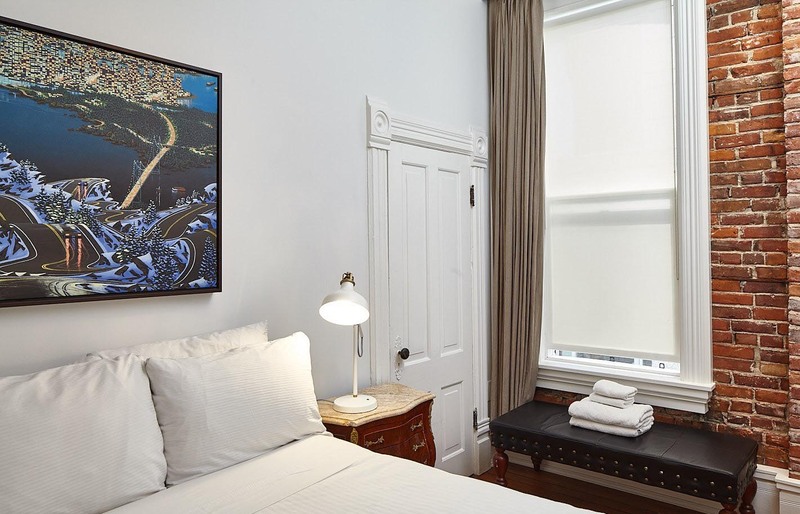 Originally built in 1898, the property blends historical finishes with contemporary features resulting in a truly unique look and feel. 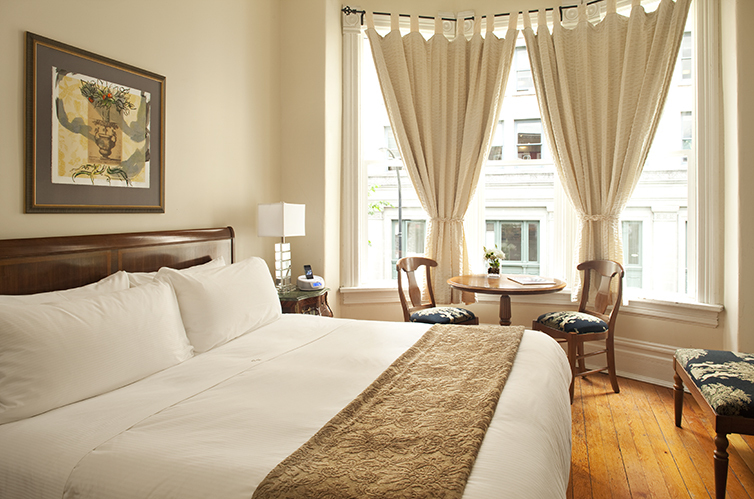 For value conscious travelers, looking to try something new, the hotel has a variety of “Euro-Rooms”. 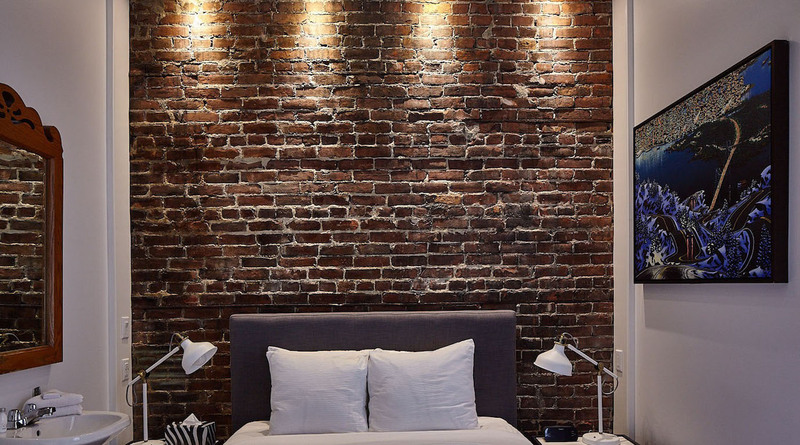 Each of these rooms display an exposed section of 18th century brick which lights up, showing off the different textures and colours of the original walls from the turn of the century. 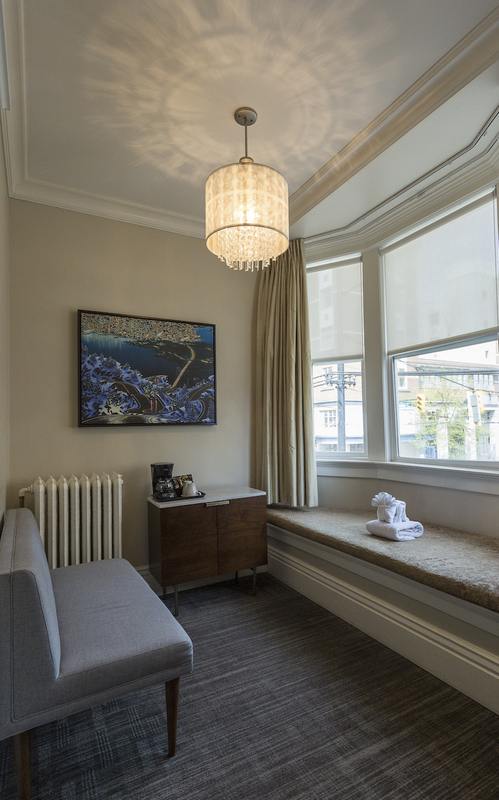 This signature design feature lends a certain authentic style to the rooms and is like nothing else in Vancouver. 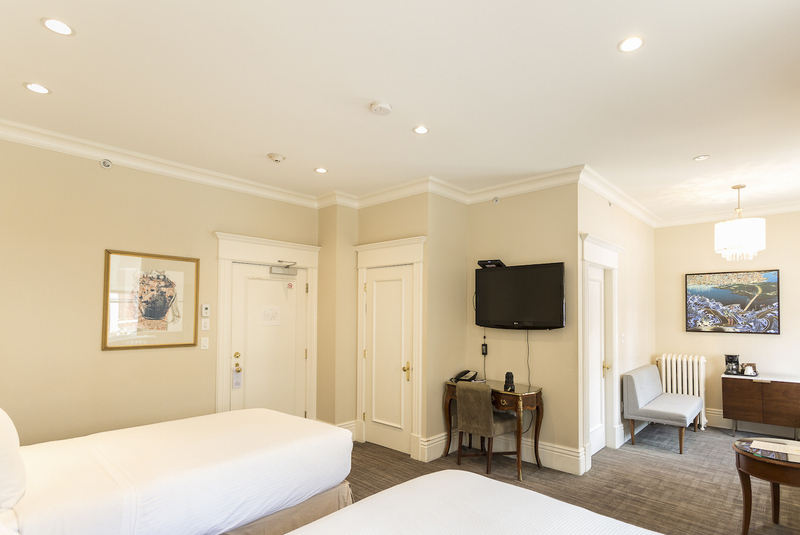 They share separate, immaculate bathroom facilities (3 guest rooms per washroom) but also include in-room sinks, mirrors, hairdryers, air conditioners and plush bath robes. 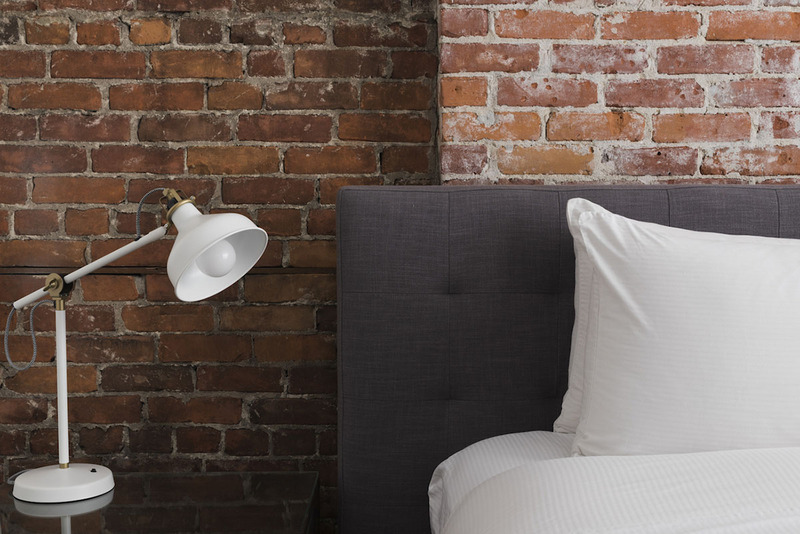 They are perfect for short stays. 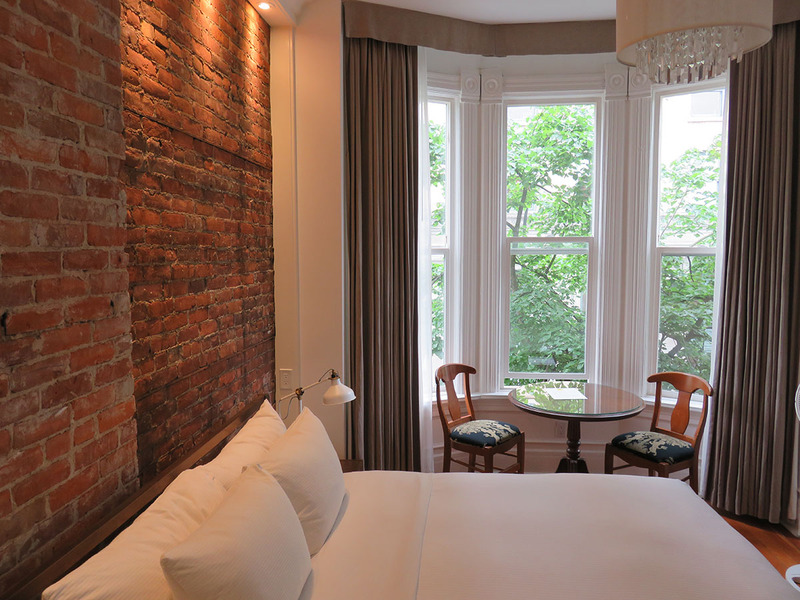 The Victorian’s recently renovated shared bathrooms are modern, elegant, and always appointed with luxurious towels, spotless fixtures, as well as complimentary shower & hygene accessories.